Xavier “X” Atencio had a remarkable career with the Walt Disney company, from his early days in the 1930s working on films like Pinocchio to his later days working on rides like Disneyland’s The Haunted Mansion and Pirates of the Caribbean. But Atencio reached the end of the ride this weekend. He died on Sunday at the age of 98. 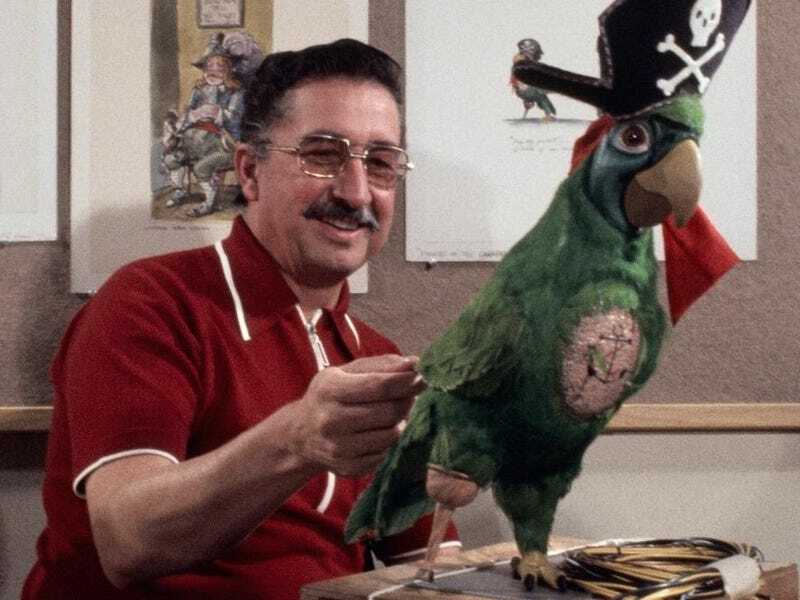 “Some may not know that when he wrote the lyrics for ‘Yo Ho’ he had never actually written a song before,” Bob Weis, president of Walt Disney Imagineering, said in a statement about Atencio’s passing. “Yo Ho” is the theme song for the immensely popular Pirates of the Caribbean attraction. Atencio was born September 4, 1919 in Walsenburg, Colorado and moved to California in the mid-1930s to attend the Chouinard Art Institute. He soon landed a job at Disney and worked on movies like Pinoochio and Fantasia before heading to serve in the Army during World War II. Atencio worked as an animator throughout the 1940s and 1950s, but by the 1960s he moved to Walt Disney Imagineering (then known as WED Enterprises) to work on some of the most celebrated theme park attractions of all time. Atencio did a segment years ago describing the development of The Haunted Mansion that can be viewed on YouTube. In the video he explains the famous Pepper’s Ghost illusion using the large piece of glass in The Haunted Mansion. He was also featured in a Disney Channel documentary about Imagineers that can also be watched on YouTube. In the latter video, he describes the delicate balance of making The Haunted Mansion both scary and amusing. He also talks about the work that went into the original Pirates of the Caribbean script. Atencio retired in 1984, but like so many other Disney Legends, he continued to work with the company for special engagements, as well as telling his stories from a Disney era that has long since passed. RIP X. We seem to be losing quite a few Disney legends recently. But we’re thankful for all the joy you’ve given us over the years. What&apos;s Your Favorite Extinct Epcot Song?